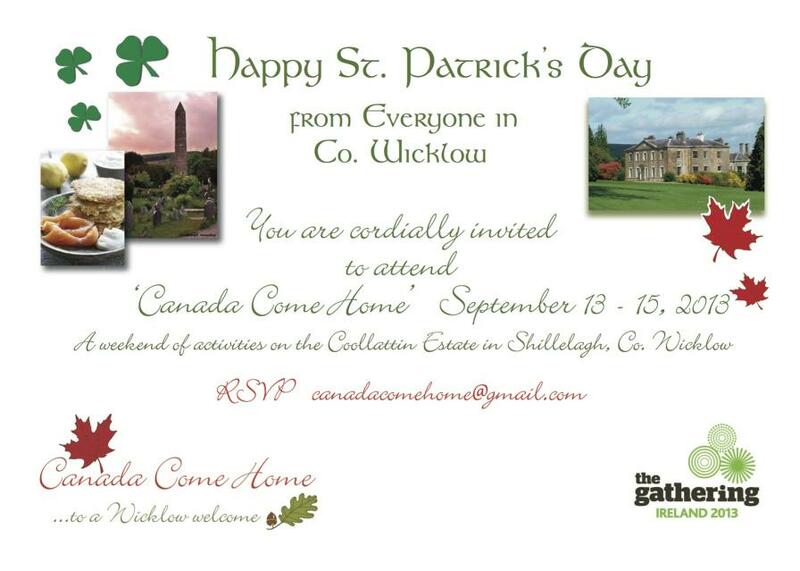 Happy St. Patrick's Day from County Wicklow, in Ireland, the home of your ancestors. for a lively weekend of history, genealogy, walks in the Wicklow countryside, and lots more! Its a great year to visit Ireland. Hope to see you there. we'll make sure you have a memorable visit. All the best from The Canada Come Home Team. County Wexford, Ireland (adjacent to County Wicklow). The Irish in the Napanee River Valley: Camden East Township (Ontario), 1851-1881. Fitzwilliam Estate in County Wicklow (see link below).